The major characteristic of Micro Borescopes is their Insertion Tube sizes. 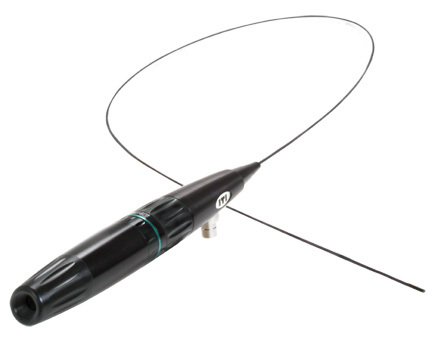 Some Micro Borescopes have Insertion Tube diameters that can get down to as little as 1mm. Inspection Cameras today come in a wide variety of sizes and are used to inspect a tremendous amount of machinery. Different Remote Visual Inspection (RVI) tools excel at different inspection applications but for Micro Borescopes, electrical components and fine casting inspections are where they excel. With impressive sizes from 1-3mm, Micro Borescopes can come with a set of challenges. Smaller Insertion Tubes often bring image quality, articulation, durability, and affordability issues. These issues are why Remote Visual Inspection (RVI) technicians aim to use the “largest” insertion tubes that they can get away with for their application. Larger Insertion Probes mean that better image capture components and more articulation cables can be included in the unit, giving the end user a better value for their inspection tools.